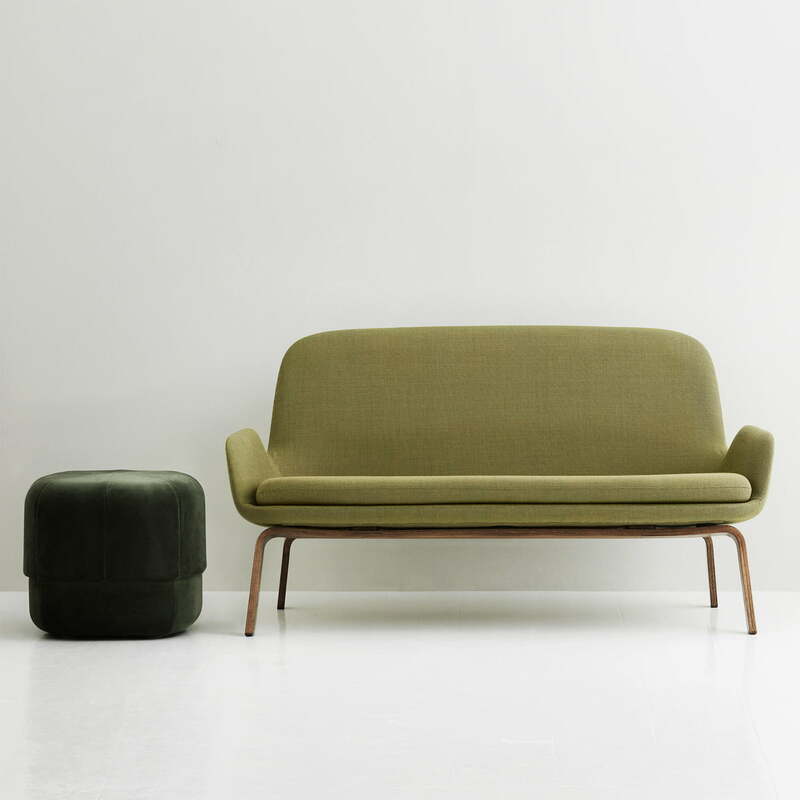 The Era Sofa by Normann Copenhagen is timeless and yet nostalgic. The sofa belongs to the Era series by Simon Legald that was designed to last for generations. Therefore the sofa is meant for design lovers as well as for the children’s room. 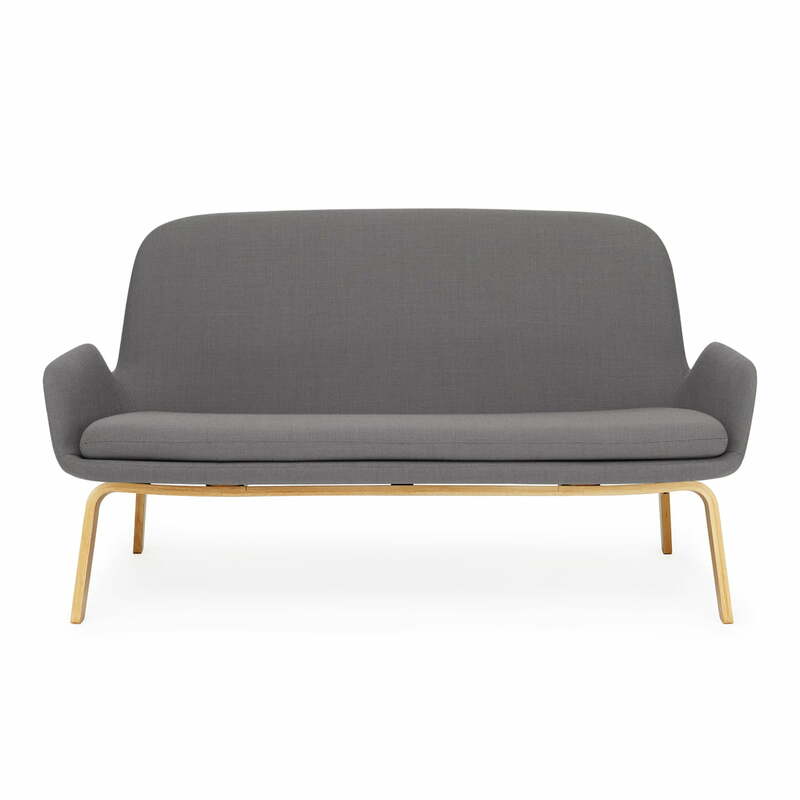 The Era Sofa visually impresses with its streamlined design, which adapts to any interior. The sofa’s feet consist of oak and support the seating surface, which guarantees a great seating comfort thanks to the curves on the back. Even after many hours of reading, relaxing and watching TV, the Era Sofa is still comfortable. With the various choices of fabrics, colours and legs the Era series is very diverse. The Era rocking chair, for example, has a particularly soothing effect and is an unexpected and playful alternative to the lounge chair. 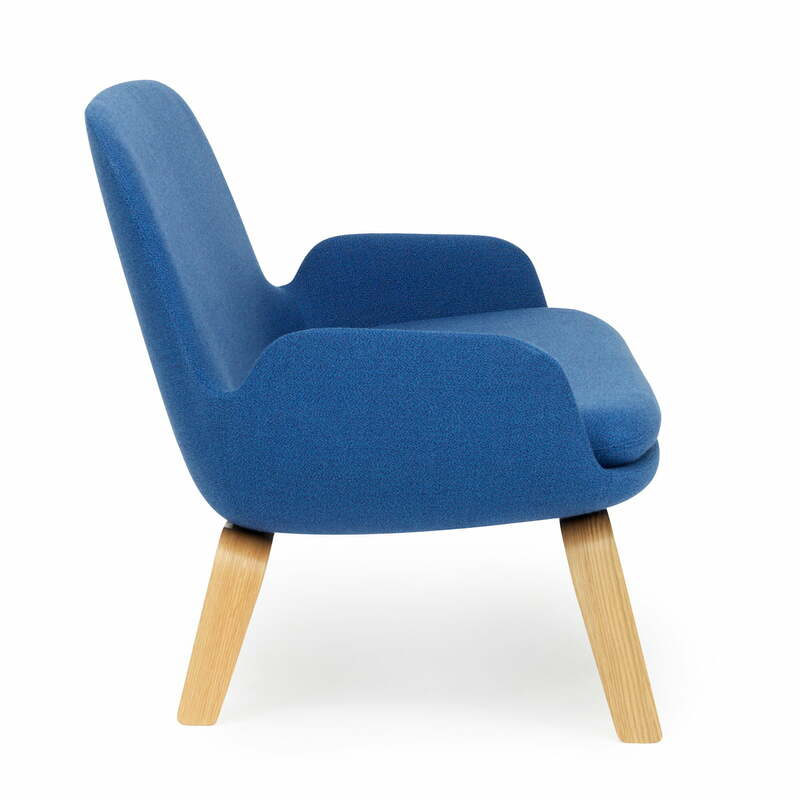 The version with the high back provides support for the neck and is therefore perfect for resting. The low version fits particularly well in smaller living spaces, because it is visually smaller. Upon request, the Era Sofa is available in various colours, types of wood and fabrics, with legs of chrome and steel, as well as a rocking sofa. In 2015, the Era series was awarded with the German Design Award in the category of "Special Mention". Details The picture’s colour may vary from the product. Fabric samples available. 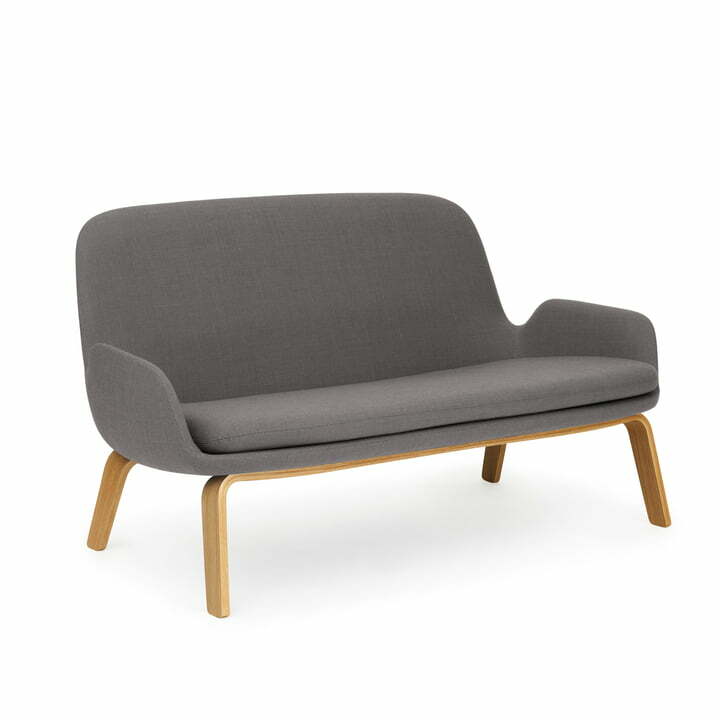 The Era Sofa from the Era series by the Danish designer Simon Legald for Normann Copenhagen made of oak in Breeze fusion dark grey is timeless and yet nostalgic. The sofa belongs to the Era series by Simon Legald that was designed to last for generations. Therefore the sofa is meant for design lovers as well as for the children’s room. Visually, the Era Sofa impresses with the streamlined design, which adapts to any interior. The sofa’s feet consist of oak and support the seating surface, which guarantees a great seating comfort thanks to the curves on the back. 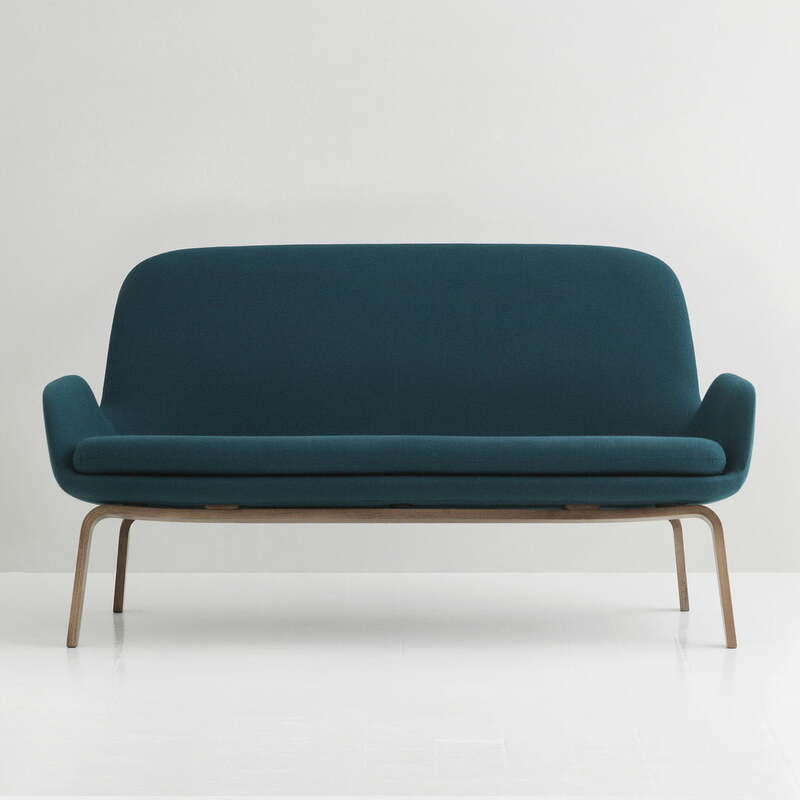 Upon request, the Era Sofa by Normann Copenhagen is available in various colours, types of wood and fabrics, with legs of chrome and steel, as well as a rocking sofa. 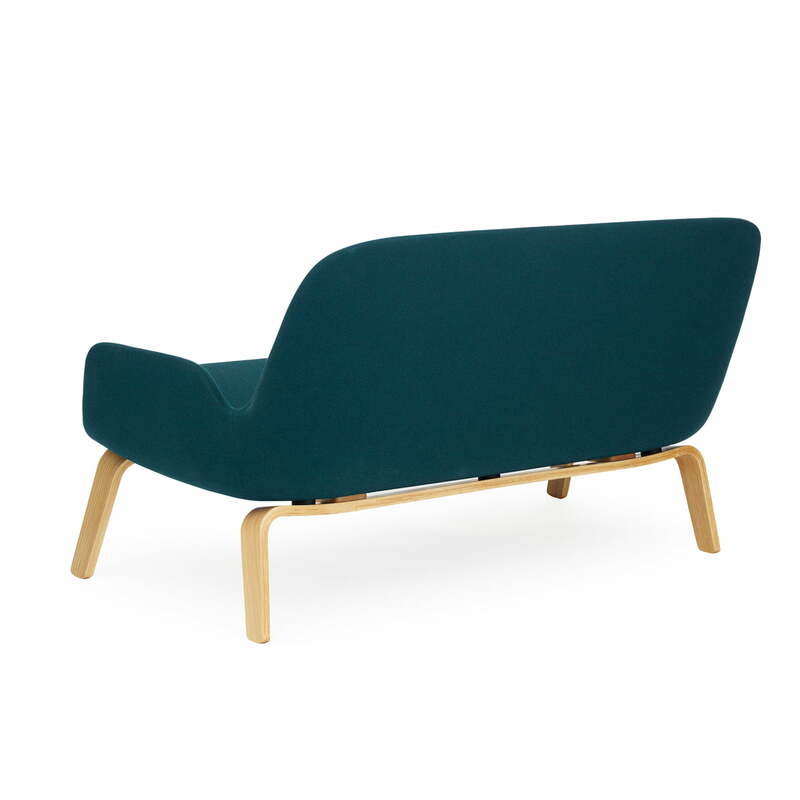 Even after many hours of reading, relaxing and watching TV the Era Sofa by Normann Copenhagen made from walnut in fame hybrid turquoise is still comfortable and invites to linger. The velour leather of the Circus Pouf and the sofa made of walnut with Breeze fusion fabric create an interesting combination. Both designs originate from Simon Legald. 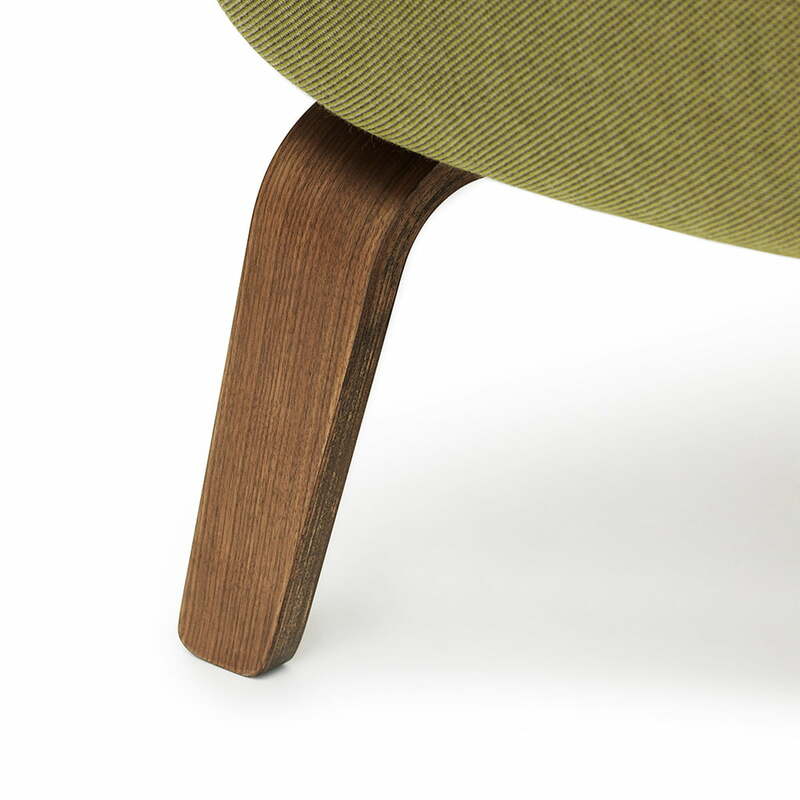 The Era series by Normann Copenhagen is very diverse with the various choices of fabrics, colours and legs. All seating furniture of the series are coordinated and harmonise together. 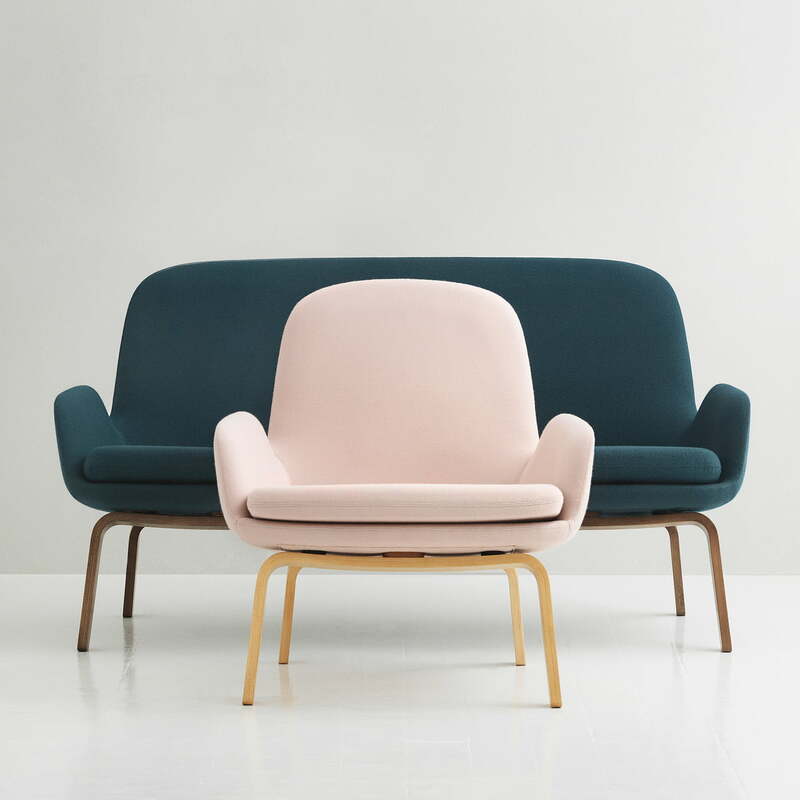 In 2015, the Era series for Normann Copenhagen by Danish designer Simon Legald was awarded with the German Design Award in the category of "Special Mention".